My second stop on my trip to northern Italy in September was to Venice. 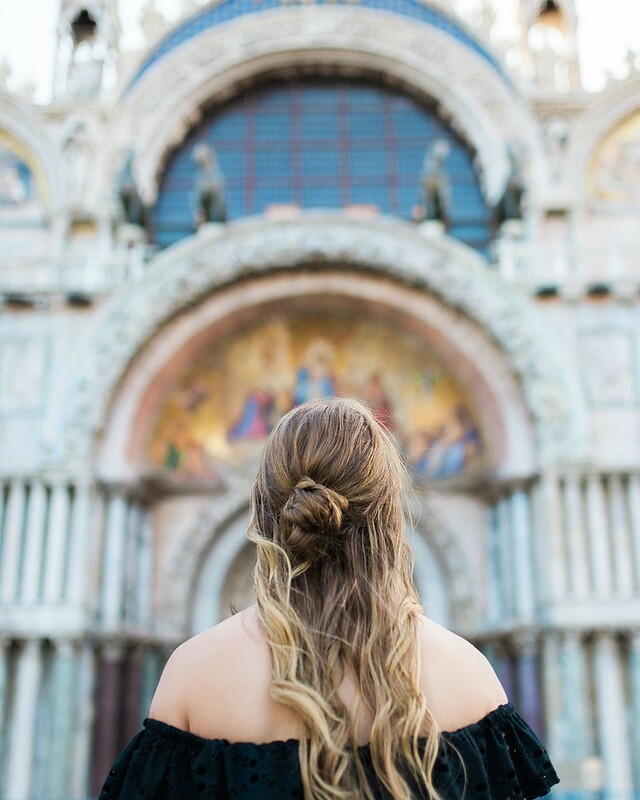 I spent a couple of days in Venice and met Nicole my photographer there. I wish I had more time to explore but I guess that leaves things to see for the first time next trip. I took the train to Venice early one morning from Parma. You definitely don’t want to bring a vehicle to Venice. 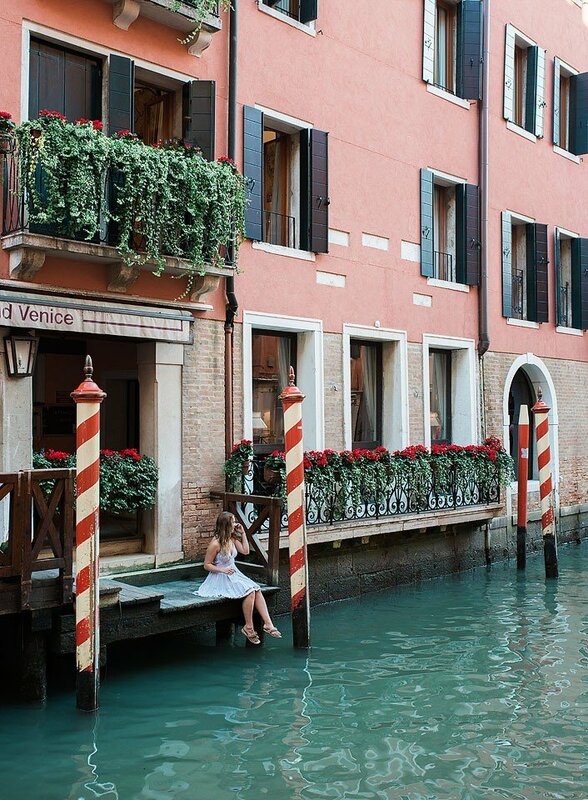 Venice was one of those places that everyone wants to go to in Italy. Well, it is such a compact place and there are so many tourists it definitely feels like EVERYONE is there at once. I was there in September, which isn’t the busiest season. I can’t imagine the summertime. Despite the crowds it was 100% worth the visit. Venice was such a magical place full culture and amazing views. As in the rest of Italy, the food was amazing. I think I ate gelato for breakfast, lunch and dinner. I couldn’t help myself! The first day I meet Nicole at the hotel and we headed out to explore. Our first stop was to this hidden away castle that had breathtaking views and really wasn’t busy at all. I would really suggest that you check out Palazzo Contarini del Bovolo if you go. Around sunset we made our way around Venice exploring all the famous spots. Venice is a very busy place so if you want to take pictures or enjoy the area without crowds I suggest that you wake up around sunrise and be the first there. 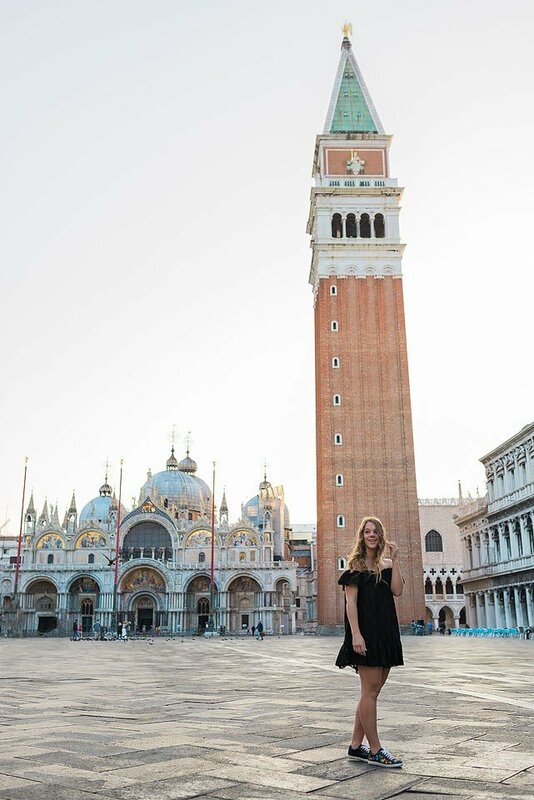 Make sure you head to Piazza San Marco early in the morning if you want to get photos. It is so busy during the day. Another amazing thing we did was go on a gondola and it was just magical. Even though it was expensive, I would have been disappointed if I left Venice without that experience. 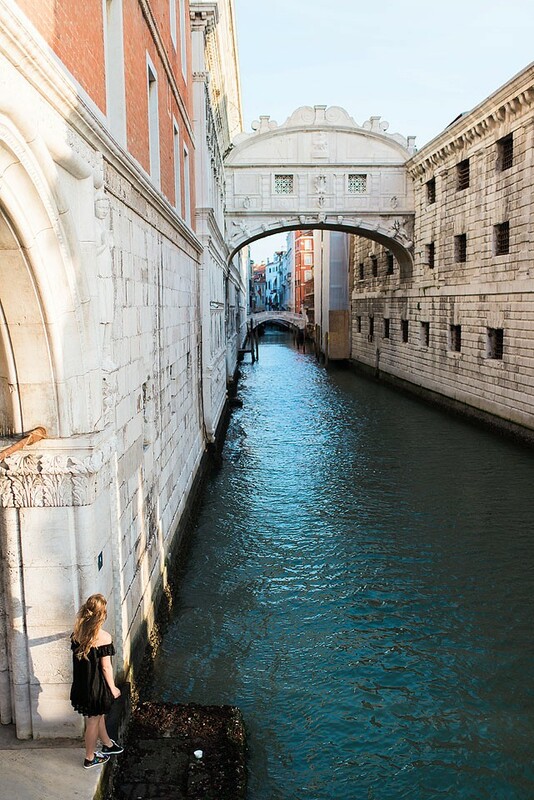 Venice has water everywhere, so seeing it from a different angle was great. Venice was just amazing it was full of history and the buildings were so old and pretty, I am a sucker for old buildings. While you are in Venice you should hop on the boat and head to Burano. It was busy, too but it’s the most colourful place I have ever been to and you know I LOVE colour! The whole area is just adorable and perfect for photos. The boat ride is an hour each way so this will probably take a half day to get there and back. Thanks to Nicole Autumn Photography for all the images. 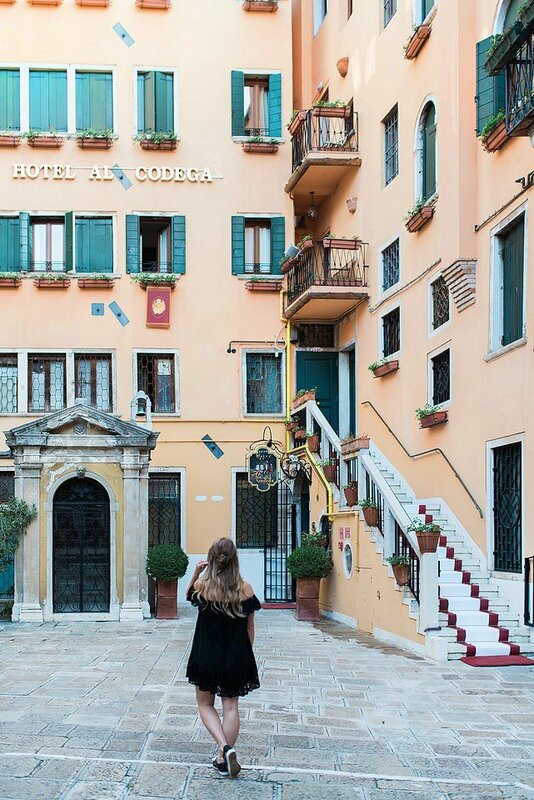 In Venice we stayed at the Hotel de Codega. On my trip to Italy I used Hotels.com to research and book my accommodations. I love that they have reviews written by previous guests to read. I always take time to read recent reviews to help shortlist hotels that I am considering to book. I find the review extremely helpful often finding out about details like the availability of parking in an area, noise in the area and tips on what type of room to book. A great tool for choosing your accommodation is Loved by Guests Awards on Hotels.com. The winners are determined through the analysis of millions of guests’ reviews and celebrate hotels that provided a top-notch experience. Resorts and hotels taking home the top prize of a Loved by Guests Gold Award have all achieved an average guest review rating of 4.7 or higher. In 2016, a total of 153 hotels in Italy were awarded this honour. It was easy finding a place to stay that I knew was highly regarded by previous guests. 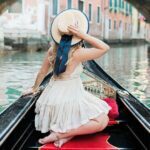 Be sure to check out my recent blog post with all my top trip planning tips and my post with my Italy trip itinerary which as a trip vlog, too. Thanks for following along on my travels! I will be back to Italy soon. There is so much more that I want to see and do. This blog post is brought you in collaboration with Hotels.com . Thank you for supporting the brands that support me.